When it comes to candy-filled holidays like Halloween, we usually caution our patients to enjoy sweet snacks and candy in moderation. And with good reason. It should come as no surprise that sugar is one of those things that concerns the team at our dental office in Highland Park. After all, sugar is a dentist’s worst nightmare, right? Maybe not. It turns out that there are some snacks out there that can be worse for your smile than sugar-packed candies. 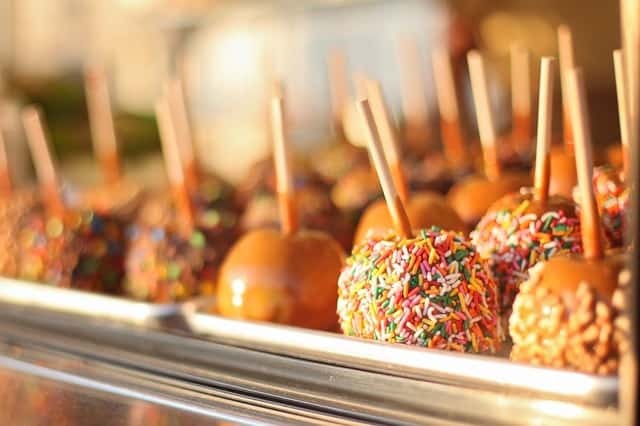 While candy will always be one of those things that your dentist in Highland Park will encourage you to eat in moderation, there are other snacks that are also a concern. We’re not here to tell you to completely avoid candy this Halloween, or to quit eating certain fruits, chips, and crackers forever. Like anything, these things can be enjoyed in moderation. But our Highland Park dental office does encourage you to also drink plenty of water when snacking on foods that are known to increase the risk of decay. Most of all, have a happy and safe Halloween! « Is Chewing Gum Good for Teeth? I always have anxiety before heading to the dentist, but always leave Dr. Asadi’s office happy! The staff is very friendly, comforting, and professional. I am always taken for my appointment upon arrival and never have had to wait. Jen does a great job cleaning your teeth without discomfort. Dr. Asadi gives honest feedback, and doesn’t try to push you into unnecessary treatments. I have recommended this practice to friends.